Congratulations on your win against South Africa last weekend. It appears that the rose is in full bloom! But then, roses tend to do that under the watchful eye of a Gardner, don't they? Apparently, a few of our All Blacks went to Twickenham to watch the game, no doubt looking to catch a glimpse of Saturday's opponents. Though, quite why you need to do intel on a team when from Row M you've managed to score as many tries as they did, is anyone's guess really. Of one thing we can be certain; they would have had a warm welcome from the crowd. Kiwis tend to get a good reception at Twickenham - even when they're not captaining England - and we're expecting the same as we take the field this weekend. One of the reasons we love playing England (aside from the easy victories that allow us to blood young talent) is the atmosphere during our Haka; the whole of Twickenham responds in full voice. This Saturday we're looking forward to seeing 23 Kiwis laying down the challenge, 82,000 loud Englishmen responding, and one man in England's No 6 jersey trying not to be betrayed by muscle memory. Steve Hansen played his part to build anticipation this week by suggesting this fixture is bigger for the All Blacks than last year's Lions series - and everyone thought he was being serious! England are fifth in the world and last week limped to a one-point win over a Springbok side completely devoid of a set piece - we prepped for this game by playing Japan. As for the team you've picked, Eddie Jones said this week of Chris Ashton: "Chris can sniff a try from anywhere and to beat New Zealand you need to score tries. He's in good form, looks sharp so we're giving him the nod to start." Looks sharp? Good form? He's playing his third game of the season, Eddie. And the guy who he's lining up against is one of the nominees for World Player of the Year. 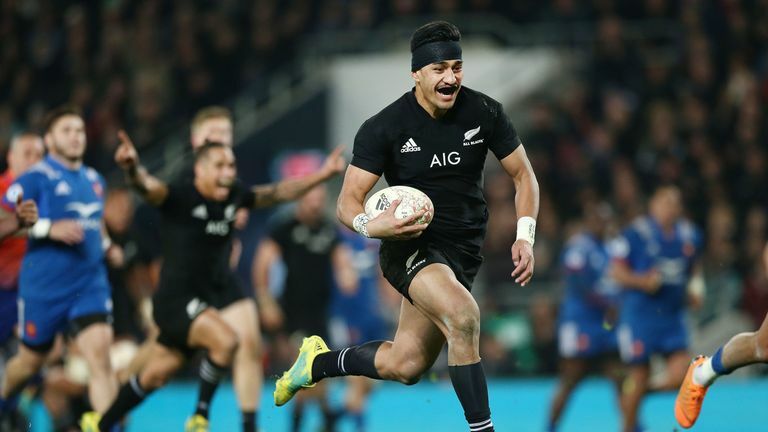 Rieko Ioane is only 11 days shy of a decade younger than Ashton, and has already scored more international tries than him - despite making his debut less than two years ago. Who is the better No 11: Jonny May or Rieko Ioane? In fact, Rieko's 22 tries have come in just 21 Tests, and at 21 years old he's already in the top 20 for tries scored in a black jersey. I'd say that Ashton should watch out for him, but even if he sees him, what's he going to do? Up front you've gone with a pair of young props who will be easy prey for our boys; Owen Franks has got more than a hundred caps for the All Blacks, and Karl Tu'inukuafe was literally working full time as a bouncer a few months ago - it was his job to ensure big lads behave themselves, and that's what he'll be doing to your front row this weekend. Read is actually in line for a milestone this weekend: when the final whistle blows at Twickenham, it will be his 100th Test victory for New Zealand! Congratulations to him. He's been a real leader for the All Blacks over the years, so he was an easy choice for our - solitary - position of captain of the team. 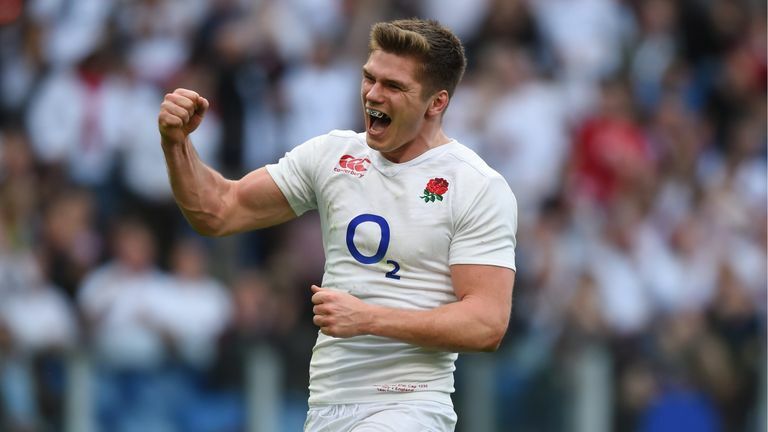 On that note, it's really nice of you to appoint Owen Farrell to help Dylan Hartley out with the coin toss. How does their co-captaincy work? Is it a good-cop-bad-cop situation? Is Hartley the man to dish out the discipline and Farrell the one to put his arm around the players? If so, why doesn't he do the same for the opposition? In all seriousness, I wish your mob well this weekend, for what it's worth we consider you to be a stern test for us as we build towards our game against Ireland.